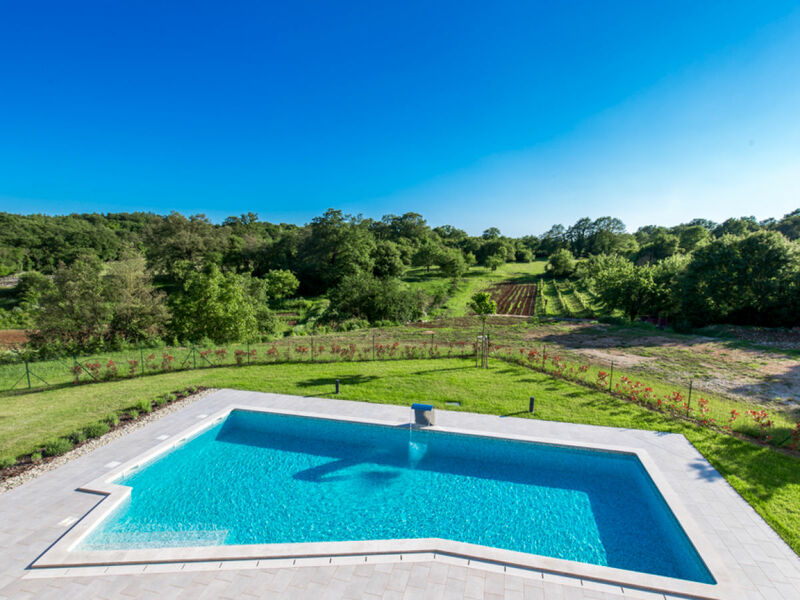 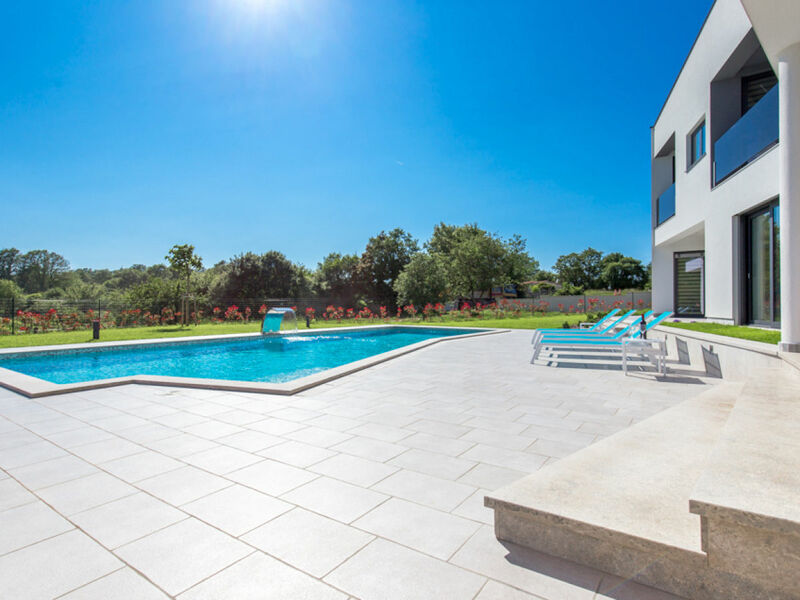 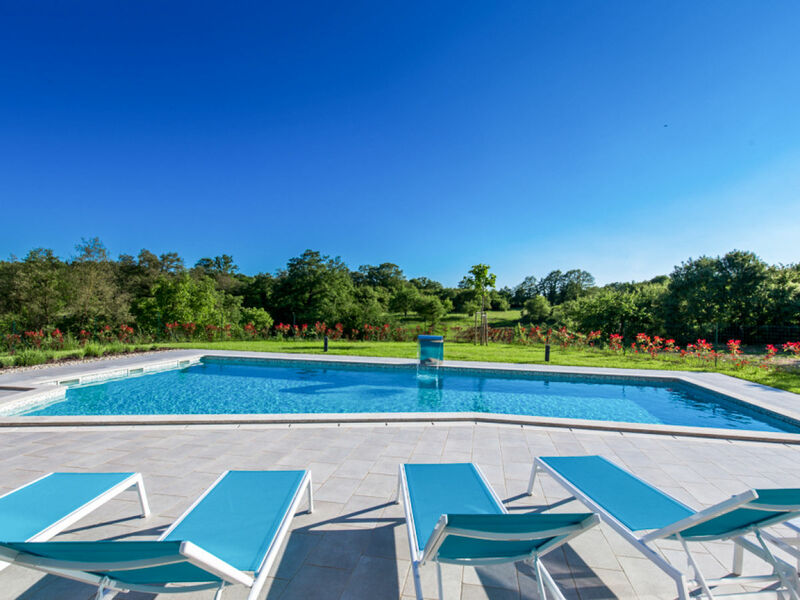 Set on the outskirts of the quaint historic village of Kringa amidst the wooded hills of the picture-perfect Istrian countryside this luxury villa provides a great location for those who wish to enjoy peaceful, unspoilt, yet interesting surroundings in great comfort. 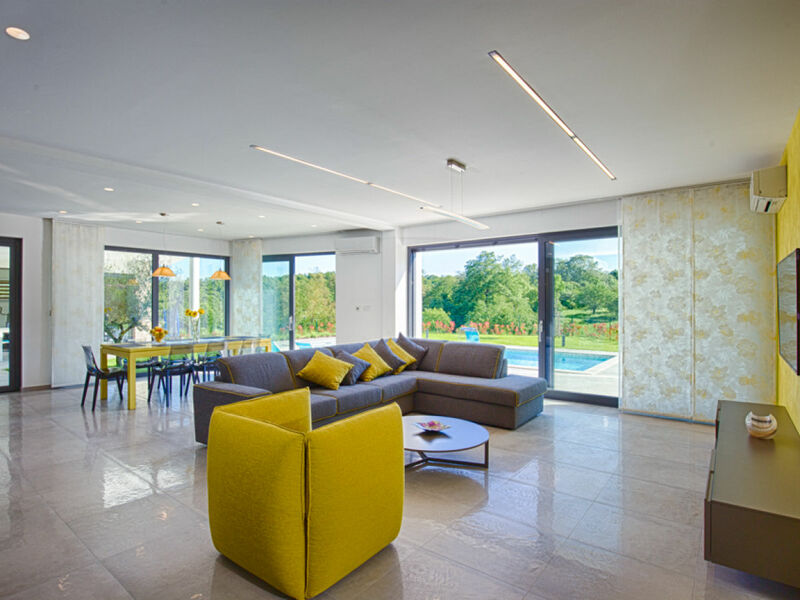 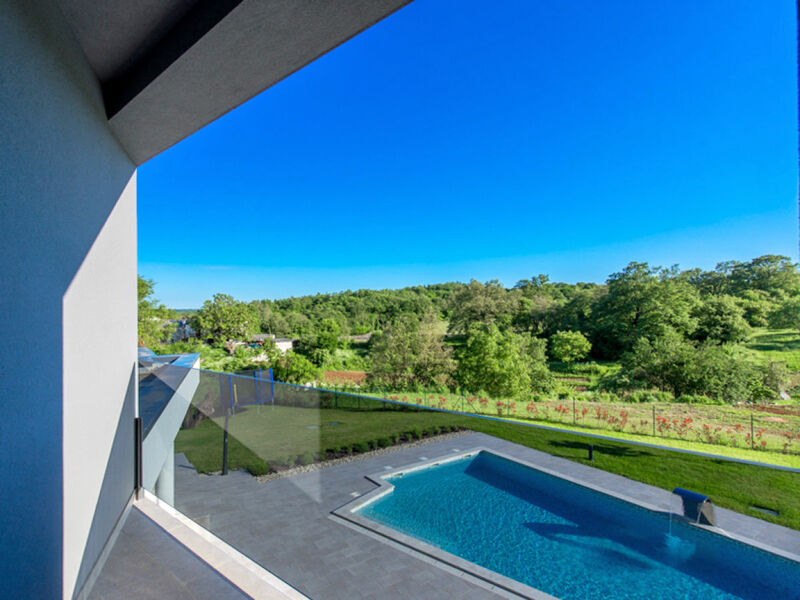 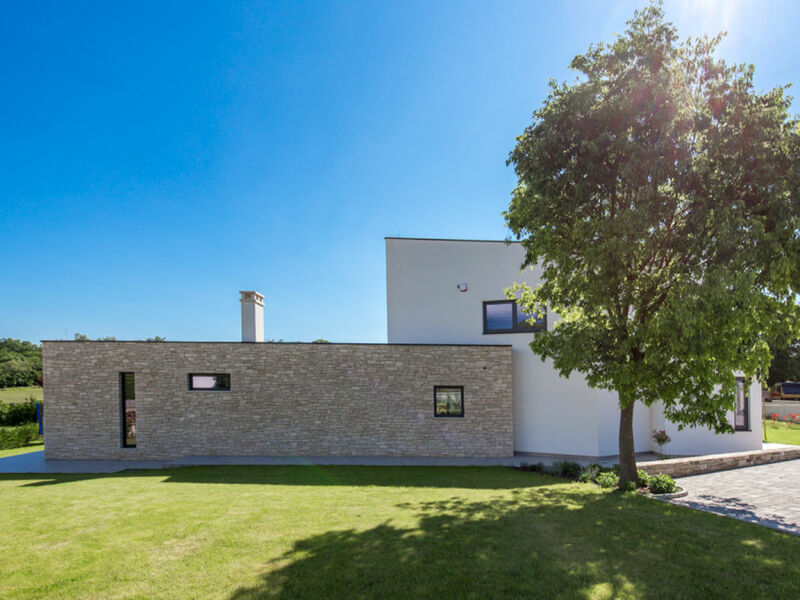 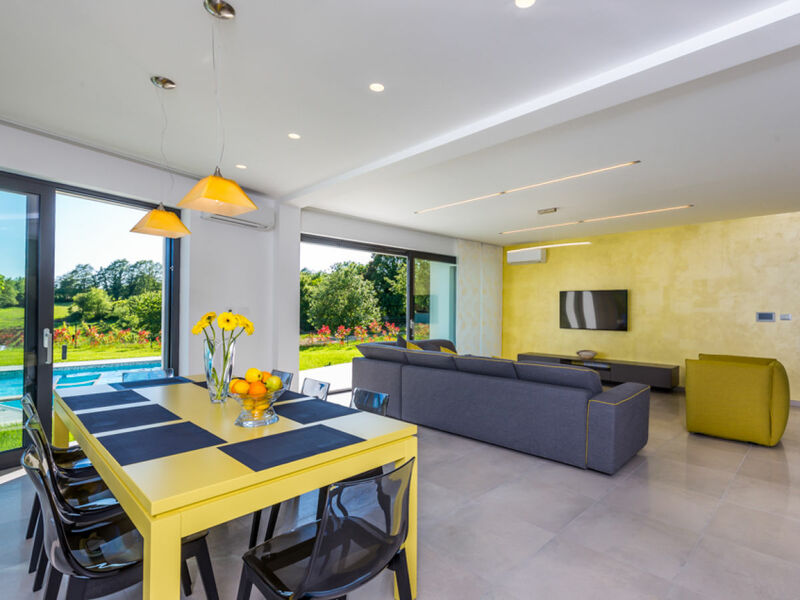 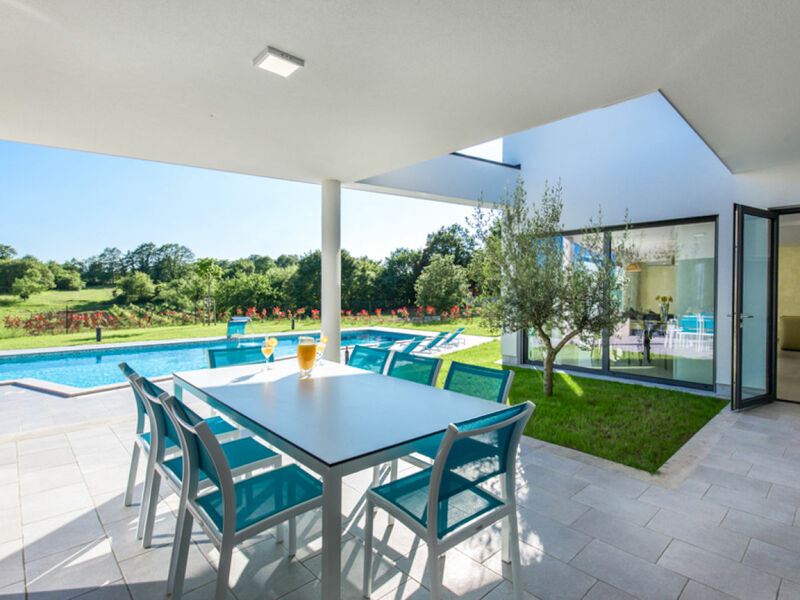 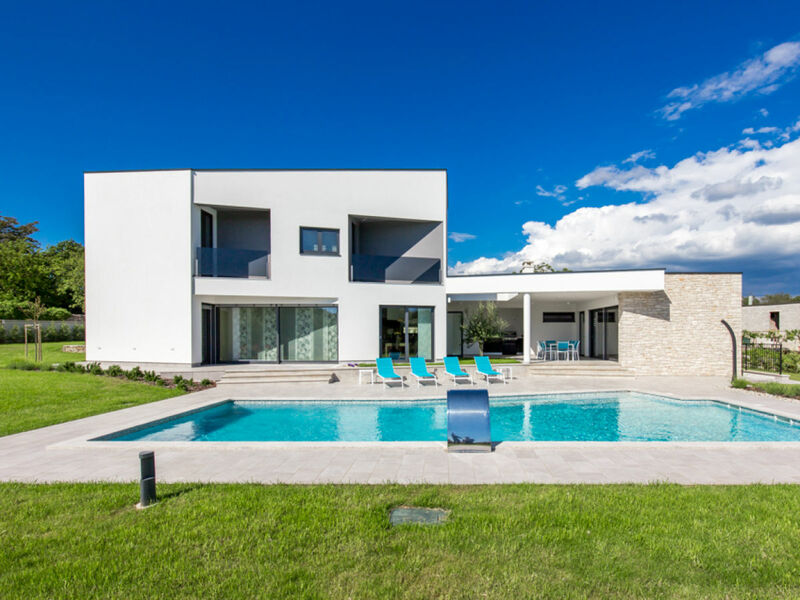 Its modern design blends beautifully into the natural setting with the clean, minimalist lines and floor-to-ceiling glass doors bringing the abundance of warm Istrian light inside. 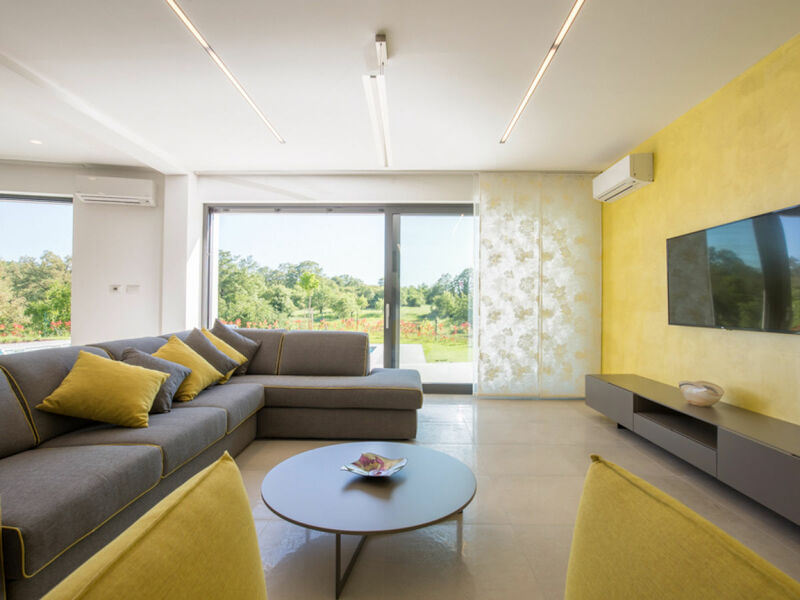 The simple, soft colours and textures of the high-standard furnishings create a warm and pleasant atmosphere in the four bedrooms with modern ensuite bathrooms and the wonderful spacious living area, ideal for the whole party to gather. 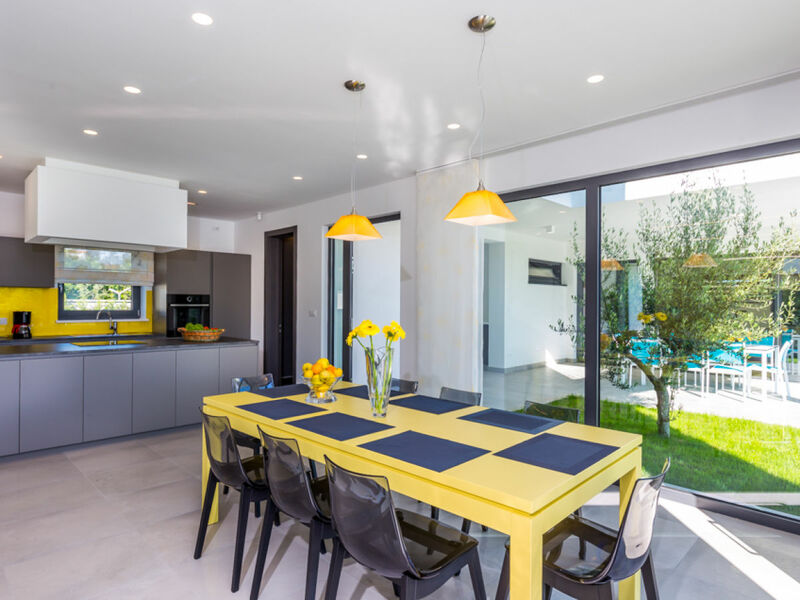 Open plan to the living room is a great kitchen with a dining table that lead out onto a shaded patio with an additional dining room and a modern summer kitchen facing the beautiful large lawned garden which surrounds the attractive pool area. 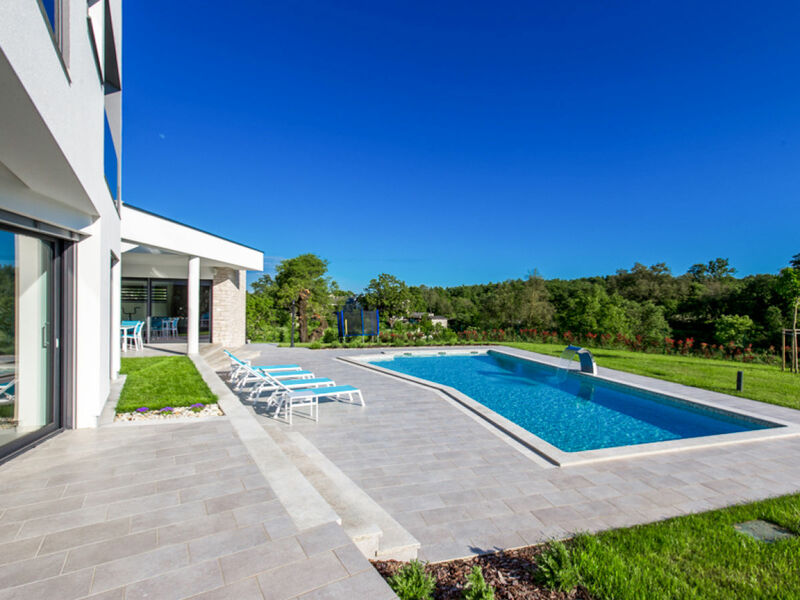 Your little ones will enjoy their very own outdoor playground. 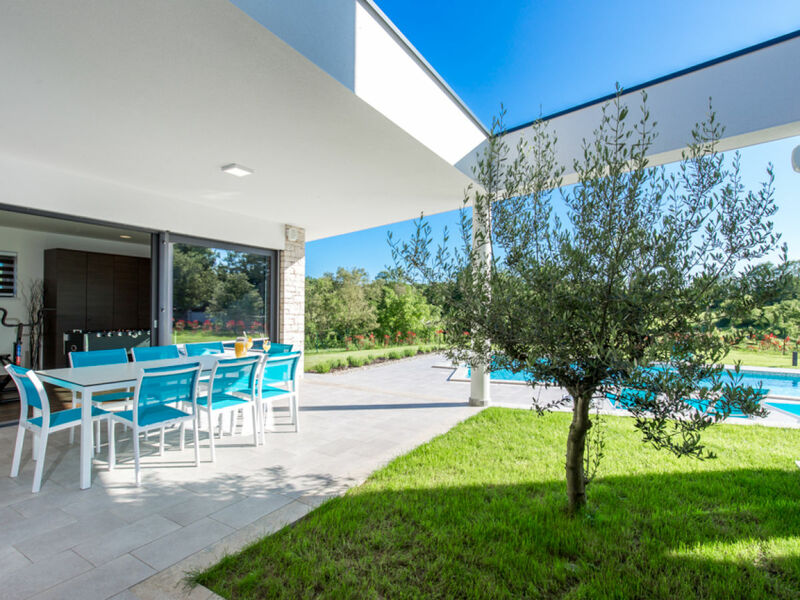 The trademarks of this captivating region are the undoubtably best Istrian prosciutto, the authentic drywall trials, but also its intriguing ancient history and tradition rich in local legends and secrets worthwhile discovering. 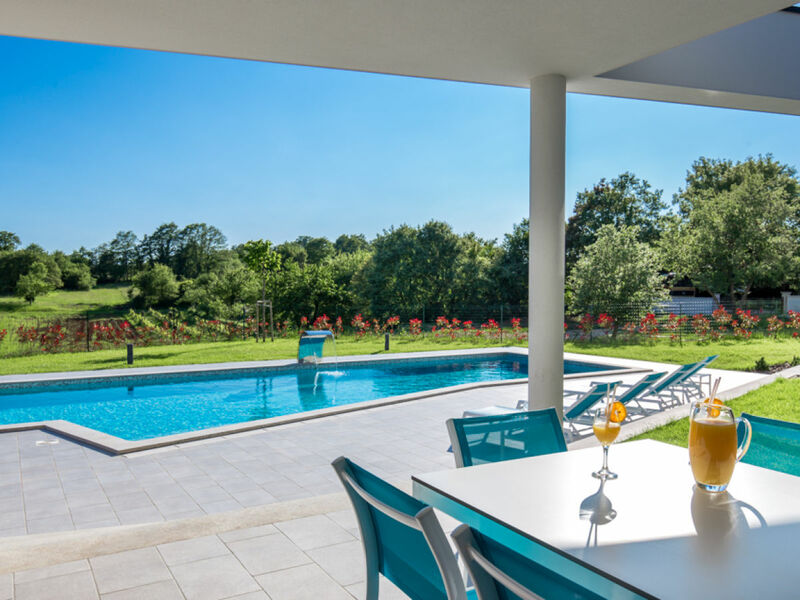 The picturesque medieval hilltop towns, traditional rural villages where time has stood still and landscapes of unsurpassed beauty are ideal for scenic drives, cycling and hiking. 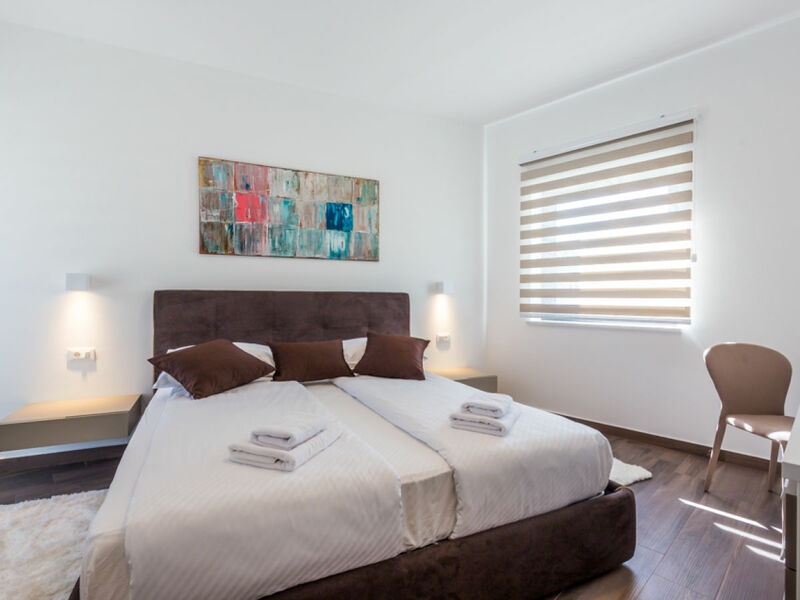 Mouth-watering traditional cuisine, virgin olive oil and world-class Muscat, Malvasia and Teran grapes for which this region is renowned, add the final ingredients to a memorable holiday. 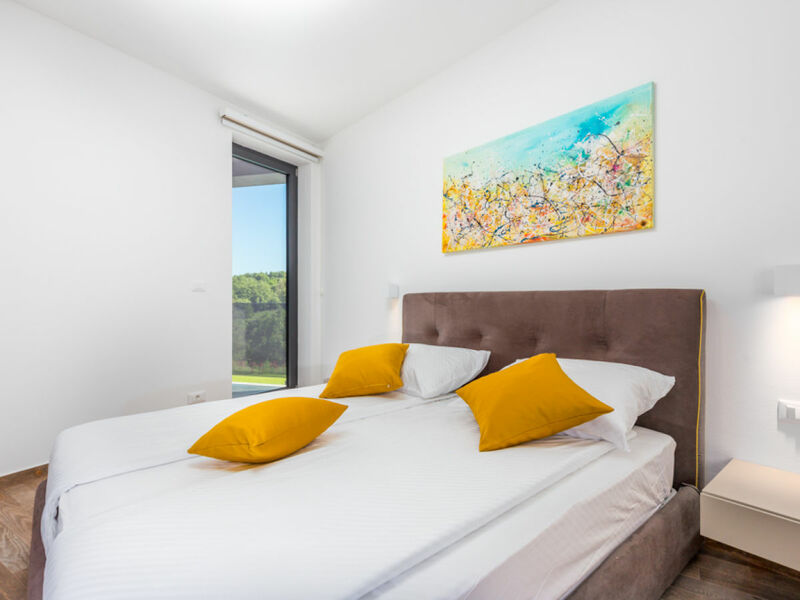 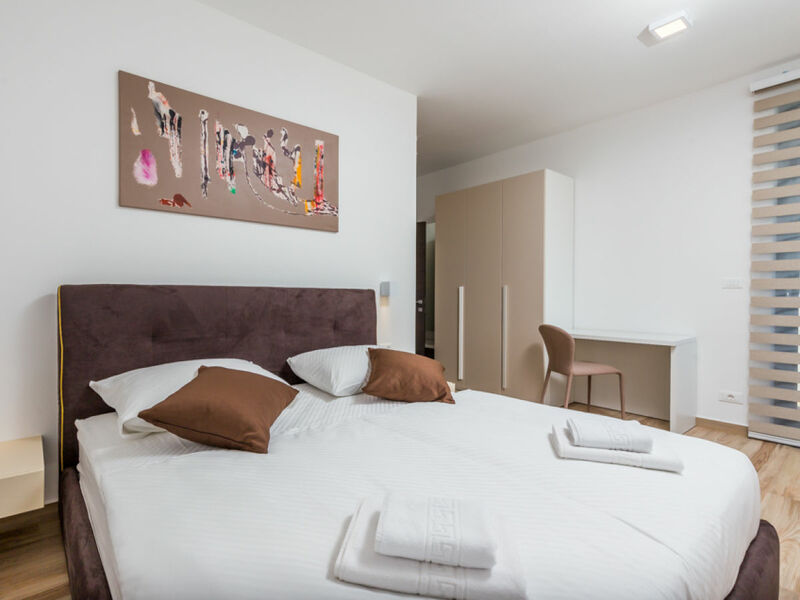 And if you are in the mood for some different kind of action, the crystal clear Adriatic Sea with its beautiful beaches, as well as the busy tourist hot spots are just a short drive away. 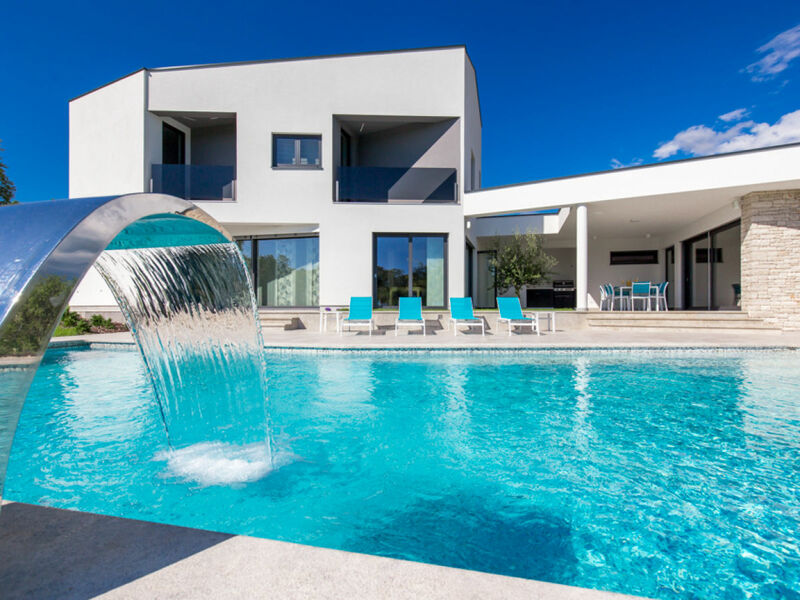 A 500 € refundable damage deposit or 30 € non-refundable property damage insurance is required.